From £14.50 + vat per week (subject to availability). 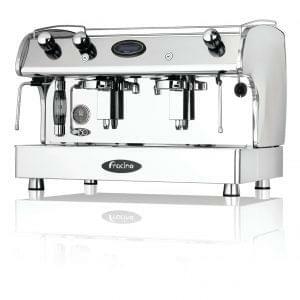 The Fracino Bambino 2 Group is an affordable compact commercial espresso machine. Available in 1 or 2 groups, this machine has electronic or semi-automatic options and provides fantastic value for money. 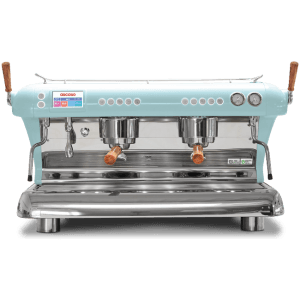 This machine is stylish, long-lasting and expertly made using only the highest-quality materials, including stainless steel, brass and copper. 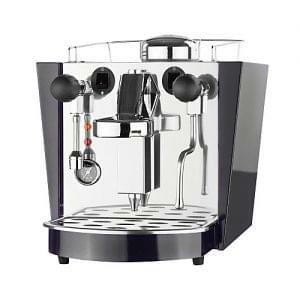 Each semi-automatic or electronic machine has hot water facilities and steam tubes for frothing or steaming milk. .
Fracino – These fantastic machines are Manufactured in the UK and are hand crafted with the very best materials. 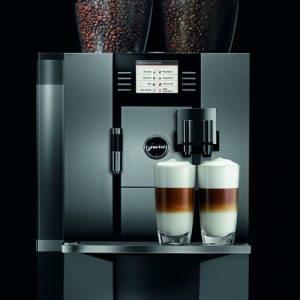 Fracino manufacture these fantastic Commercial Coffee Machines in the UK. 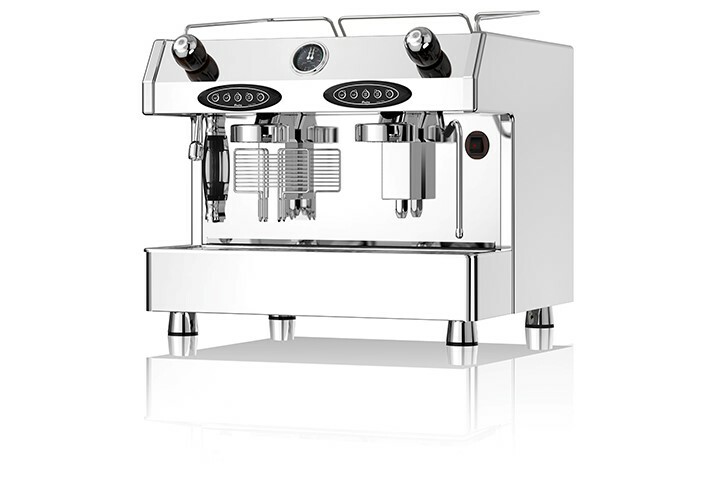 Fracino’s Bambino range are compact, yet are able to handle an impressive workload and are available in semi-automatic or manual options. They are a hugely popular option in the UK especially for new start-up’s looking to get an affordable solution for their business. The Bambino 2 Group can serve around 240 cups of coffee per hour and runs off of a mains water connection. It includes one steam arm and one hot water tap for serving hot water. Cup shield and espresso tray come as standard on luxury models and are available as an optional extra on all other models.